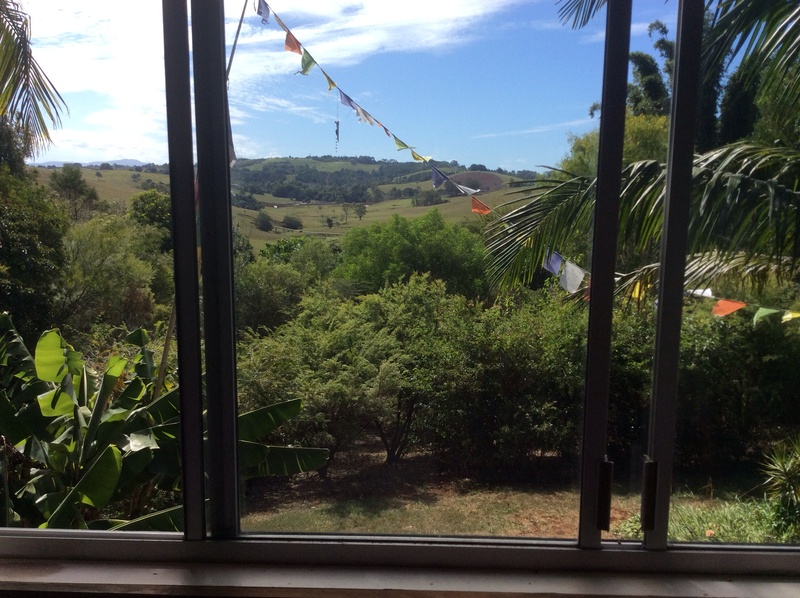 So here we are, just a couple of weeks in our new home in the hills of Byron Bay. And so far…loving it. By new home I’m talking about a fifteen acre north facing block with a small creek, three linked dams, three springs, two relocated Queenslanders and a cute-as rustic artist’s studio. 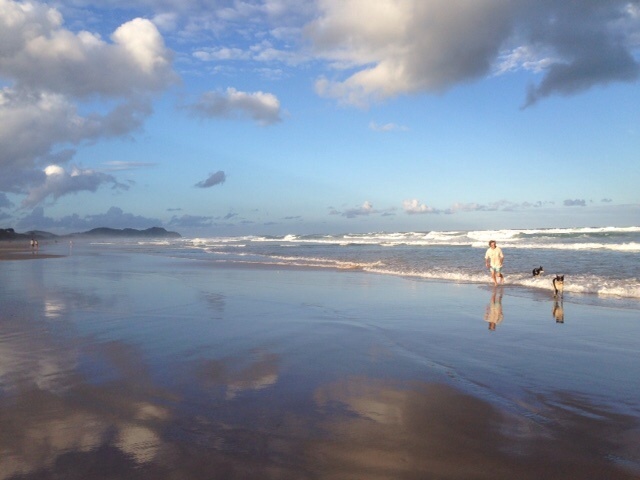 If you haven’t been to the Byron Bay area before you don’t know what you’re missing. It is simply stunning and arguably one of Australia’s most scenic regions and I challenge anyone to top the uninterrupted coastal panoramas and rugged silhouette skyline of the Mount Warning caldera and Tweed Valley. The town of Byron Bay itself is low-rise and has a hippie, surf, tourist feel. It’s a place where you’ll see old VW Kombies parked alongside Range Rovers and it all seems to work in a barefoot, relaxed sort of way. The area is incredibly green thanks to the high rainfall and rich red volcanic loam clays courtesy of the Mount Warning eruption and even though the area was once covered in rainforest it’s now a vast area of rolling hills and lush farmland. In spite of the dramatic and irreversible environmental changes it’s a highly sought after location and a very popular destination for tourists and others seeking a change of lifestyle, a yoga retreat, a music festival or just a rejuvenating break away from a hectic city job. For us it’s about living in the hinterland, away from the Byron centre where we can grow food and live sustainably on the land. It’s about living in an exciting, diverse community that has a lot to offer and most importantly, a respect for local, well grown healthy food. The area couldn’t be any more different to where we’ve been living in Sydney and as we were preparing to leave I worried about missing the chorus of birds and menagerie of wildlife that visited our bush block each day. 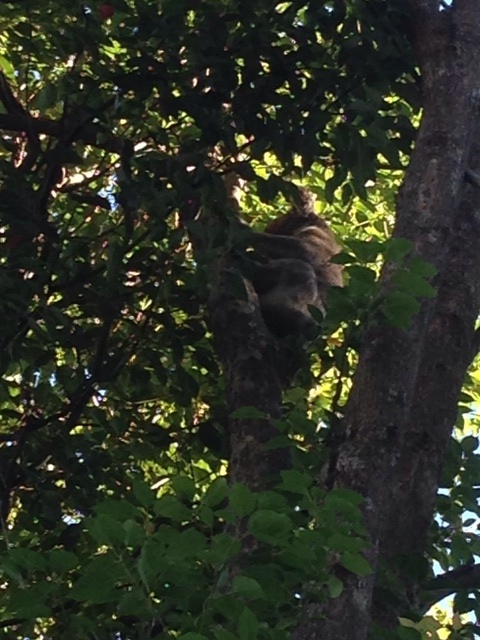 But as usual, Chris and I have been pleasantly surprised at nature’s resilience seen here through the number of small birds, parrots, rainforest pigeons and doves but also lots of reptiles and even the odd koala, yes folks koalas. We’ve put it down to the amount of regeneration work that’s already been done including a large re-forested chunk of land and the site’s connectivity to neighbouring bush areas, creeks and dams. Oh, and let’s not forget about the soil. Unlike the well drained largely infertile sandy soils of our previous home in Sydney the soils here are an absolute joy. Sure, everything grows in abundance including weeds but we intend to use our skills to manage that problem and take advantage of the fantastic growing conditions to create an abundance that will make us more or less self-sufficient. We already have a very diverse mixture of over one hundred established fruit bearing trees and shrubs, a huge lineup from dragon fruit to Bunya Pine and a whole heap of the more traditional food plants too. Unfortunately, the majority of mature citrus, bananas and mulberry trees have been left to grow rampant but nothing a bit of pruning and fertilising wouldn’t fix and a mid winter prune has proven to be gold as they are now absolutely loaded with fruit. There’s been a haphazard approach at incorporating a bit of permaculture here and there but we’re going to consolidate areas to help build a properly designed permaculture farm. This will include introducing some fairly non-conventional systems to help establish areas and repair others and although this will mean a lot of hard work through human labour, over time we’ll be able to dramatically reduce some of the current resource hungry systems in place particularly mowing and slashing. 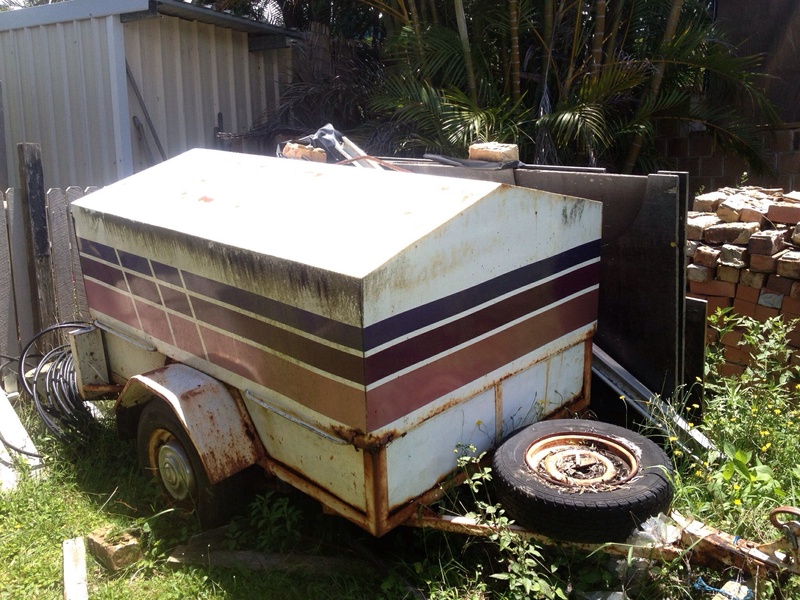 We’ll look at introducing relocatable electric fencing systems for goats and weed control and we’ll be using an old third hand trailer as an animal tractor suitable for either chickens or goats. After we have our soils tested and prepare the large paddocks for pasture we have plans to set up a series of interconnected grazing cells where we’ll run a small number of beef cattle. Down the track we’ve got plans for a really big veggie garden right near the main homestead which will supply food for all the family our visitors and who knows maybe down the track there’ll be surplus to sell. There are also plans for a lot of natural restoration through weed removal and rehabilitation, establishment of wood lots and a long term koala tree planting program. As keen environmentalists we’re very excited by the many prospects that lie ahead including the fact that our neighbours are keen to get involved in restoring the wildlife corridor along our creek boundary. Yes folks, a lot of work ahead and at times a little daunting but slowly the plan is coming together. But before we start a thing it’s always a good idea to seek expert opinion and through a serendipitous meeting at our local beach, the master himself Geoff Lawton has offered to show us his goat weeding system at Zaytuna Permaculture Farm at The Channon next Friday. How good is that! Hope you’ll be back to hear about our exciting adventure!